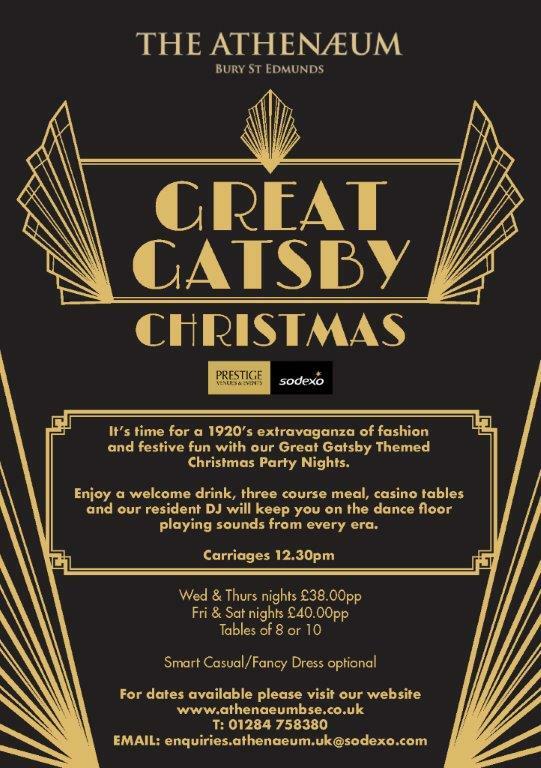 This Christmas The Athenaeum will be hosting a 1920’s extravaganza... A Great Gatsby themed party with lots of festive fun, casino tables and a resident DJ. The evening will begin at 7pm with welcome drinks served at the Reception area. Following this, a three course Christmas dinner will be served in the Ballroom at 7:45pm (click here to view menu choices). After this, the tables will be cleared in the Ballroom for the dance floor and the DJ will begin at 9:45pm. There will also be casino tables in the Reading Room upstairs. The Party Nights will be taking place throughout December and there is currently one table available on the 7th, 22nd and 23rd December for a minimum of 8 guests, or a maximum of 10 guests. 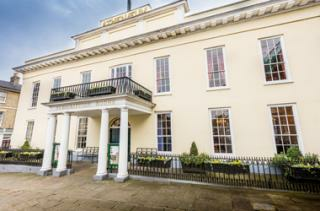 Tickets are £38.00 per person. For more information, view the flyer below or click here.